Happy Birthday carolandtom - I hope it is WONDERFUL!!! 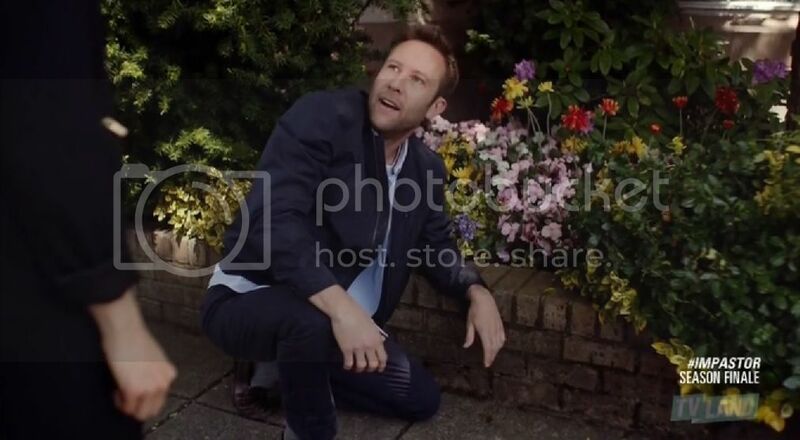 TVLINE: Speaking of guest stars, people do love their little “mini-reunions.” Who from Smallville would Smallvilel_Lex-Clarkyou like to see bring their comedy chops to Impastor? Michael: That’s a really good question…. 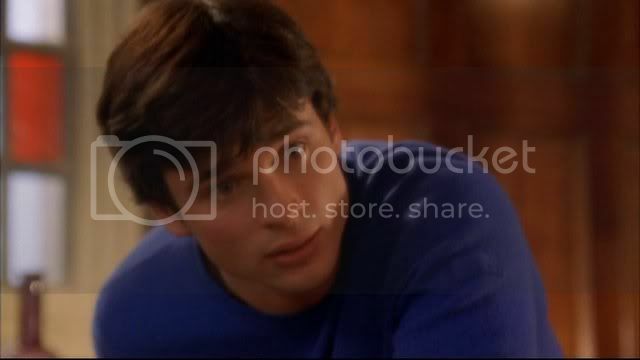 I mean, Tom [Welling] and I are still buddies – I’m a Jew but I had a Christmas tree decorating party last year and he made an ornament and brought it over. 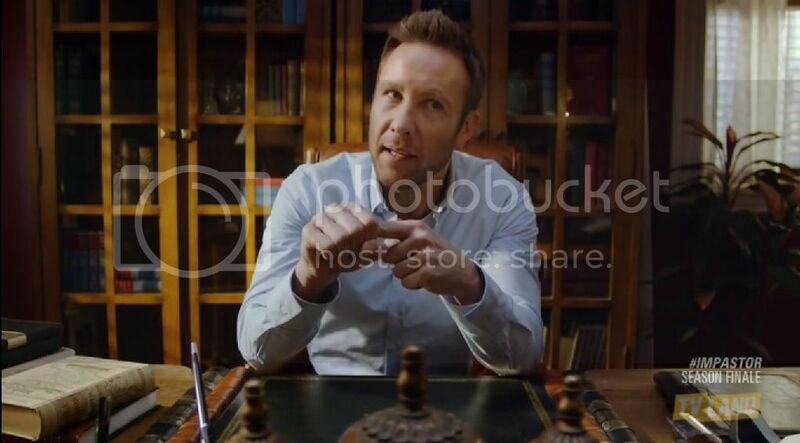 So, Tom’s got a really fun, really dry sense of humor…. It’d be a blast if there was something for him. TVLINE: Like, maybe he’s the onetime BMOC from Ladner College or something…. Michael: Yeah! Or he could be a criminal in town. Tom would be a blast. I also think Annette O’Toole (who played Martha) is really funny, she could be hilarious. And Allison Mack (Chloe)…. Any of those guys, we’d be lucky to have them. Michael: “Who knows? We don’t like to bring in people just because they’re recognizable, that’s kinda distracting at times. None of us are really big names so I think that was kinda appealing in a way? I think that’s what makes the show kinda special. 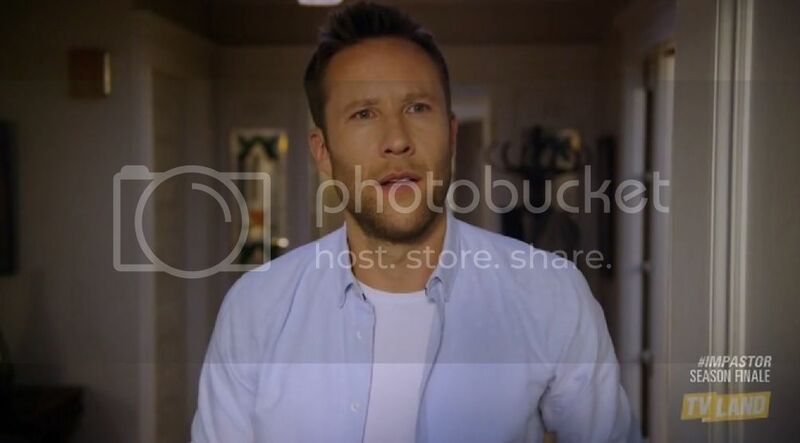 YES PLEASE TO TOM ON IMPASTOR, getting to be funny and maybe a little wicked. (But NO weird stuff on his beautiful head please.) 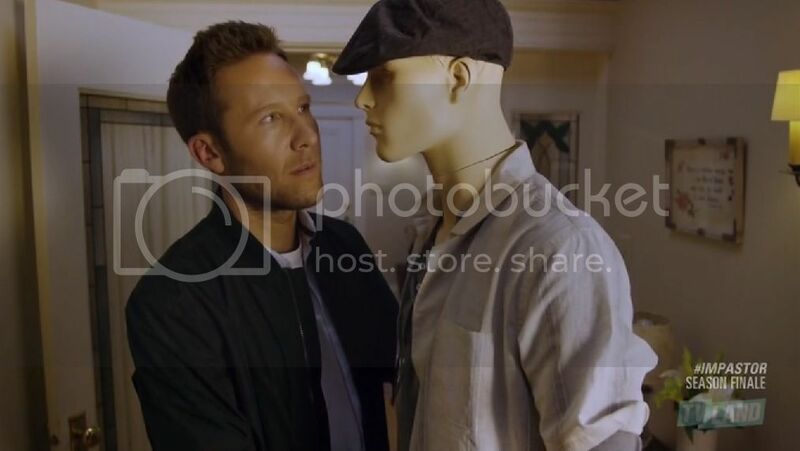 Just move that mannequin and insert Tom, yes. Hug from Dora - Buddy's starting to really care about his Ladner friends. Buddy's fan club contemplates his complexities. These two are becoming real friends as well. Too long to wait until S2! You know, although the growing fanbase helped, I think the positive reviews tipped the balance to renewal. TV land hasn't had much in the way of critically acclaimed hits so the show being praised made all the difference, and thank goodness! It really must've. I've heard nothing but good reviews for it. There were some offended people who wrote reviews without seeing it "This isn't Lutheran!" But people who watched saw it wasn't anti-Christian at all. Such a great cast; no weak links there. And a plum role for Our Boy.